More than 500 USD Pledged ! Valérie, the last girl of Sylvia’s Visual Novel. She is pretty but deadly ! Here is an opportunity to listen to a very lewd story … This is our second podcast on Laura’s series. 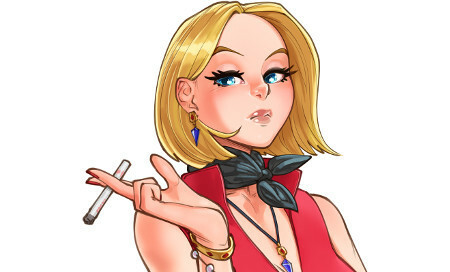 Our loved artist on Sylvia, BBC-Chan is on Patreon now !